Can Attorney Fees Paid to Obtain Benefits Be Deducted on a Federal Tax Return? Family law attorney's fees are only tax deductible if you incurred them while seeking legal advice. Neither legal matters nor taxes are likely to make you jump for joy, but being able to deduct your legal expenses on your tax return might make both a little more bearable. The good news is that the Internal Revenue Service will let you deduct some attorney fees. The not-so-good news is that there are many legal fees that you can't write off. You might be able to deduct attorney fees that you incurred while trying to obtain benefits, depending on the type of benefits sought. You can't deduct legal expenses if the benefits you were trying to obtain were personal. For example, if you got hit by a car and the insurance company refused to cover your injuries, you can't deduct the amount the attorney charged to sue that insurer. Also, if you got divorced and your former spouse was trying to walk away with your retirement benefits, you can't deduct the legal expenses you incurred when you hired a lawyer to make him stop. If you paid a lawyer to give you tax advice, you can deduct those fees. According to "Forbes," tax advice legal fees are deducible no matter what kind of tax you talked to the lawyer about. Income, estate, property, sales and use tax all qualify. For example, if you were suing your ex-husband for a portion of his military benefits, you could deduct any legal fees you were charged for talking with your lawyer about the tax consequences of winning your suit. 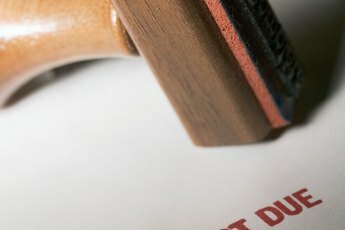 If you had to sue your employer over a work-related benefits issue, you can deduct any legal fees associated with the suit. According to the IRS, legal fees are tax deductible if they're "related to either doing or keeping your job." The only catch is that you have to be "attempting to produce or collect taxable income" at your job for the deduction to be valid. If you can list the income on your tax return, you can deduct legal expenses related to it. You don't actually have to owe any tax on the income in order to deduct those legal expenses. You can even deduct legal fees associated with getting your spouse to pay alimony if that alimony is taxable. If you own a business, even if you're a sole proprietor who runs a company in which you're the only employee, you can deduct legal expenses as business expenses. This tax rule covers all legal expenses, as long as they have something to do with your business. If you consulted a lawyer about the benefits of incorporating your business in different ways, it's a deduction. If you hired a lawyer to write a contract that specifies your independent contractor's benefits, you can write off that expense. Like all business expenses, just keep careful documentation of what you pay so if the IRS asks you to prove it, you can. Are Annuity Payments on Lawsuit Settlements Tax Free? Can I Claim Assisted Living Payments for My Mother on My Tax Return? Can You Write Off Pygmy Goats on Your Taxes? Can I Claim Home Additions on a Tax Return? Are Family Court Attorney Fees Tax-Deductible? 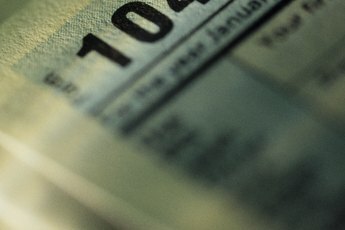 What Can I Itemize on My Tax Returns? Can 1099 Employees Deduct Car Expenses on a Tax Return? Are Dance Fees for a Child Tax Deductible?